It is about time that contemporary modern technology is being used for the vision impaired beyond the mere usage of computers. Students at the Birmingham City University packed a lot of brains into a cane turning it into a “smart cane.” The ‘XploR’ mobility cane, being developed by ICT students Steve Adigbo, Waheed Rafiq and Richard Howlett, uses smartphone technology to recognise familiar faces from up to 10 metres away. The cane also features GPS functionality to aid navigation says the article on the university web site. We will need look into more areas to put technologies to good use for the functionally challenged and the growing rate of the elderly. 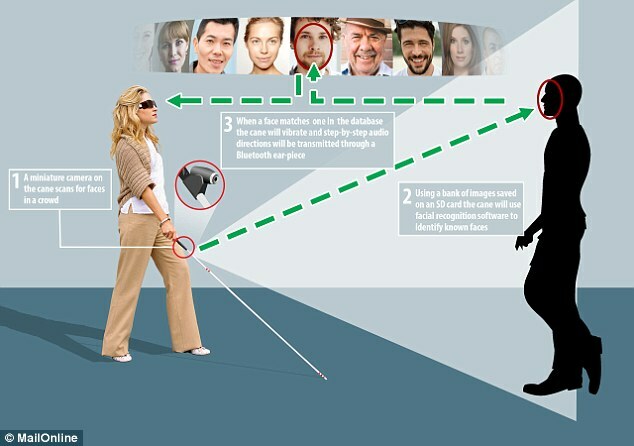 This entry was posted in New and Noteworthy and tagged Cane, Smart Cane, Technology for the blind. Bookmark the permalink. Face recognition technology is spread his work. 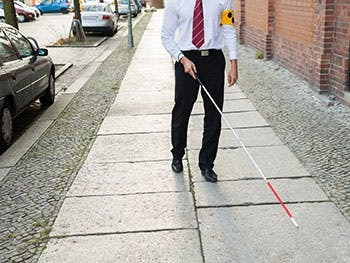 Its a good news that blind people also use this technology to walk safely. Thanks for post this valuable article.